Accidents are traumatic not only, because they may result in death but may even cause injury and disability for a partial or long term nature. Whatever be the result, an accident will cause a break in income. Insurance is one way of dealing with the impact of an accident. It is compulsory in India to get a motor insurance whether two-wheeler, three-wheeler etc. For example, driving without car insurance is illegal in India. 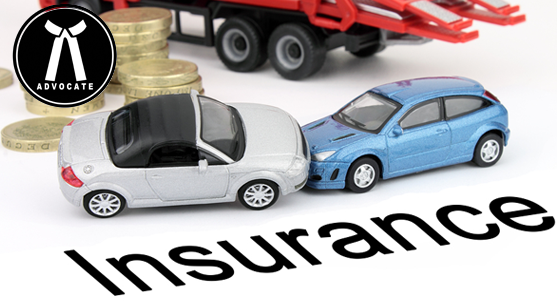 The Motor Vehicles Act 1988 issues that every motor vehicle be insured for third party risk. The reason is increasing number of deaths and disabilities in accidents. If a third party suffers from death or disability or damage to his car, your insurance cover will provide him compensation. Such insurance is called as third party insurance and protects not only you, but other occupants of the car. There is also comprehensive car insurance, which protects you from manmade or natural calamities like theft, terrorist attacks, earthquake, hurricane, cyclone etc. as well as third party claims or damages. The aim of these policies is to provide compensation to those affected by the accident whether in terms of death or disability. Compensation is allowed only if the vehicle involved in the accident is insured. Both accident victims and vehicle owners benefit from insurance as they need not pay anything from the pocket. • Provides compensation to survivors/ dependants when death happens due to accident. • Covers law suits and any legal fees brought out against you. • Covers repair bills from workshop caused by accident damage. • Covers other types of damage like fire or theft. • No claim bonus is made to renew policy when there are no claims currently. Compensation is paid if only the vehicle involved in the accident is insured. Not only is it needed that the vehicle be insured, the person driving the car needs to have a valid driving license. As for commercial vehicles, they need valid permit and fitness certificate. Motor insurance does not cover break down, wear and tear, drunken driving accidents and war damages. Medical insurance may be provided but may not be necessary if you have health insurance. The policy pays for towing expenses of vehicles and car rental for the time the car is being repaired in the workshop. You must choose the right insurance company and preferably a comprehensive insurance plan. Go for policies that offer maximum benefits with minimum premium. Insurance premium payments may seem like a great burden but its benefits outweigh the costs. From covering disability and lawsuits to handling damage of your vehicle, insurance is a great friend in difficult times. If you are involved in an accident, these accident cases insurance policies come to your rescue so that your life is not disrupted and it can continue at its normal pace.